A mourning father in Brazil took to Facebook over the weekend to express his grief over the death of his 26-year-old son, who was killed in a shark attack off a Cape Cod beach Saturday. "Son … you left me. I can’t feel the earth under my feet and have no will to live. Now, nothing has meaning to me anymore. God took away my reason for living and my tears are drying up," Itamar Medici wrote in the heartbreaking post. "Life isn’t worth living for nothing makes sense …. I love you for all eternity!" Arthur Medici was riding a boogie board, enjoying the last weekend of summer on Saturday when tragedy struck at Newcomb Hollow Beach in Wellfleet. A shark bit his leg and pulled him under water, according to his friend and future brother-in-law, Issac Rocha, who was with him during the attack. "I already heard him screaming and I saw a lot of blood in the water and I saw, like, the shark’s tail," 16-year-old Rocha said Monday in a phone interview with the "Today" show. Rocha rushed to his friend's aid and towed Medici's body to the shore. "I got him onto shore and he, he wasn’t moving anymore," Rocha said. Joe Booth, a fisherman who was at the scene, said he was on shore when he saw Medici kick something behind him, then saw what looked like a tail in the water. "All of a sudden, somebody yelled 'shark, shark!' and we noticed a big crowd at the end of the beach," Tony Sherwell, a beachgoer said. Medici was transported to Cape Cod Hospital in Hyannis, where he later died. "We are in a trance-like state because we lost a golden child," Medici's stepfather, Marcio Araujo Passos, told Brazilian news outlet OGlobo. "It was a fatality. We are facing a rough road ahead." Medici moved to the U.S. from Brazil four years ago to pursue a degree in engineering, OGlobo reported. He was a student at Bunker Hill Community College and worked as a pizza delivery driver for a local restaurant. His stepfather said Medici, who lived with his aunt Marisa Medici in Revere, Massachusetts, when he first arrived in the U.S., had gotten his own place and was "very happy." "His mom was just there [in the U.S.] visiting him. She spend all of July with him. Our plan was to eventually move there,” Passos said. "We're all taking it really hard, especially his parents," said Medici's cousin, Sarah Medici Coutinho. "He loved to surf. We knew it was dangerous, we knew that there were sharks around the area. We would ask him not to go — my mom would ask him especially not to go sometimes — but he loved to surf." Passos said Medici was also recently engaged and planned on marrying in 2019, OGlobo reported. "They were talking about marriage," Medici Coutinho said. "They were ready to spend the rest of their lives together and they were a really happy couple, so she's definitely going through a really tough time." Medici grew up in the coastal beach town of Vila Velha in the state of Espirito Santo, about 300 miles northeast of Rio de Janeiro. Passos said Medici loved aquatic sports and was an avid body surfer. "Arthur was athletic and began surfing young," Passos said. "He always went to this beach to surf. We were informed that there had been a shark attack there, but the last one was in 1936, more than 80 years ago." The victim's devastated family said they are in a state of disbelief. Medici's aunt, Marisa Medici, his father's sister, told the Boston Herald that she had begged her nephew to stay away from Cape Cod waters, but he laughed off her concerns. "The sharks don't bite me. I'm Superman," she said he told her. His cousin Rosi Gava, who lives in Boston, posted a video on social media asking the online community for donations to help pay for the cost to transfer Medici’s body back to Brazil. The state's medical examiner's office is expected to perform an autopsy on Monday. Medici’s body is slated to return to Brazil on Friday, but Passos said the family is in communication with the Brazilian Consulate in Boston to have it possibly released sooner. His wake and funeral are scheduled for Wednesday in Saugus. 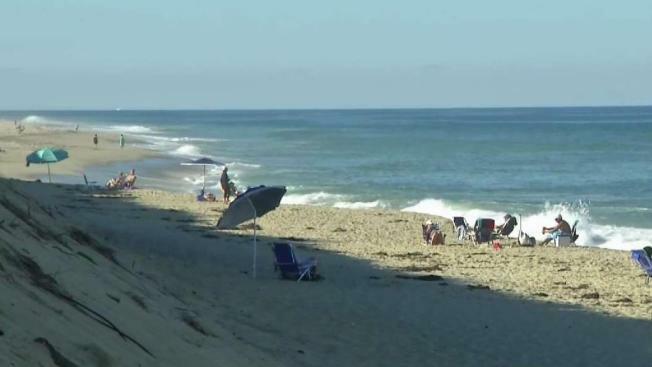 All beaches in Wellfleet and neighboring Truro were closed following the fatal attack as officials work to identify the species of shark that attacked Medici. Coast Guard Beach in Eastham was also temporarily closed Sunday following a shark sighting. Saturday's attack was the third fatal shark attack in the world this year, with the other two occurring in Brazil and Egypt, according to Gavin Naylor, director of the Florida Program for Shark Research and curator at the Florida Museum of Natural History. Arthur Medici's family is accepting online donations to cover his funeral expenses. If you would like to help, you may do so here. GoFundMe deducts 2.9 percent of any funds raised, plus 30 cents per donation for payment processing charges.